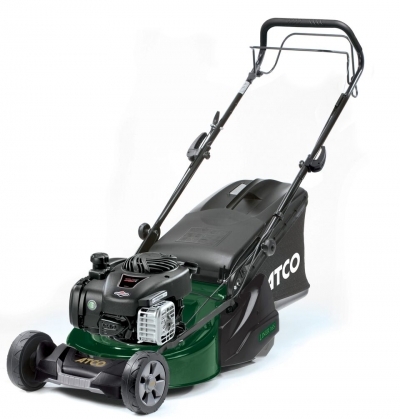 The Atco Liner 16S is a self propelled roller rotary lawnmower powered by a Briggs & Stratton 450E Series engine. With a robust steel chassis with an anti-scalp comb fitted in front, the width of cut is 41cm and the height of cut is adjusted using a single lever with 5 preset positions from 20mm to 70mm. The 55 litre grass collector has a bag full indicator. Suitable for lawns up to 40m x 40m.